In light of a recent proposal to convert the Ira De A. Reid House from a residential space into an administrative one, students are calling into question the purpose and relevance of the Black Cultural Center (BCC). 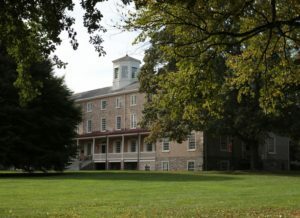 Authored by the Office of Multicultural Affairs (OMA), the proposal called for turning the Ira De A. Reid house into office space for the new Office of Academic Resources (OAR), which will serve as a place, similar to the Writing Center, in which students can ask for and receive academic help. By converting part of the house into office space, the OMA hoped to funnel some of that money toward renovating the house itself, effectively displacing it as a student living space for an undetermined amount of time. The OAR, to be established in the coming academic year, is a Dean’s Office project that brings together students, deans, and faculty to provide academic assistance of all kinds to the student body. “We envision it as a place where all Haverford students might have an opportunity to develop and sharpen skills generally required to derive as much benefit as possible from their academic experience here,” said Philip Bean, Dean of Academic Affairs. 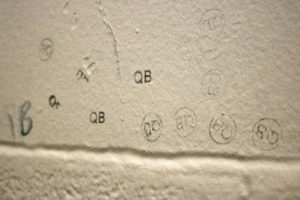 In late February, as the issue became more public, it became apparent that many students were opposed to the proposal. In response to a student uproar, the Dean’s Office immediately dropped the proposal. After conducting a review of the House last fall, OMA director Theresa Tensuan ’89 found the Center was not fulfilling many of its responsibilities as an accessible center for multicultural programs and exchange. Tensuan realized that many of the stipulations for the BCC, which include opening the house once a week for for campus-wide use, coordinating reservations, and planning at least one event honoring black history each semester, were not being fulfilled by the students living there. Tensuan also noted that “many events happening in the Multicultural Center would logically happen in the Black Cultural Center.” She was also concerned that the house is not handicap accessible and has a number of problems with its foundation and structure. To address these problems, Tensuan assembled an advisory council of students, faculty, and alumni to produce a plan to “reanimate” the purpose and uses of the space. According to Sade Stevens ’14, the Officer of Multicultural Awareness, the council only met once. And it was clear to Tensuan that a “modesty of funds” would make any attempts at reform difficult. When it became apparent that the OAR needed a space on campus, Tensuan jumped at the opportunity. For her, the proposal was a chance for the OMA to use the funding and institutional support already given to the OAR, an estimated $350,000. But her vision of the Ira Reid House as a place of intellectual inquiry, cultural exchange, and community investment seemed irreconcilable with the use of the house as a residential space. But many students felt that their voices were not represented or heard in the development of the proposal. “Three students cannot represent the entire community,” said Stevens, one of three students on the advisory council. But Dean Bean says that in his initial survey of the campus for possible locations, the Ira Reid House was never considered. “When the possibility of temporarily locating the OAR there was originally proposed in October, I said I would personally be able to consent to this only if it were absolutely clear that there was no opposition from the students,” said Bean in an email. Organized by the Sons of Africa, a coalition of student affinity groups, including BSL, the Asian Students Association and Women of Color, came up with a plan of action. They sent out emails voicing opposition to the proposal to the Board of Managers, Students’ Council and the Administrative Advisory Council, which advises senior administrators on business matters in which faculty have a strong investment. They also petitioned for student signatures in the Dining Center. That same day, Tensuan sent an email to BSL and other affinity groups in response to students’ demands. “The strong consensus was that if students wanted to maintain Ira Reid as residential housing, we in the Dean’s Office would honor and fully support this decision,” said Tensuan. 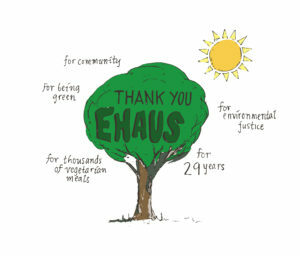 “The extraordinary show of support from those who have signed the petition speaks powerfully to the fact that this is, in fact, a collective community concern. Yet the recent controversy strikes a deeper chord than simply the question of residential or administrative space: it has created a dialogue around the purpose of the Ira De A. Reid House itself. 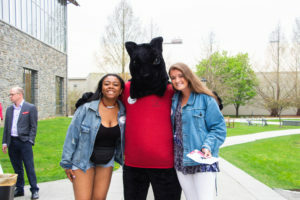 Tensuan, a graduate of Haverford herself, remembers the BCC as a “a model for the community, rather than outside of it,” a place of vibrant programming that drew in much of the campus rather than solely those who identified as students of color. In contrast, some students identify the Black Cultural Center as a “safe haven” for students of color, and not a space that should serve as the center for academic programming. “ I think many students don’t feel that this space is accessible because it is still a residential space and needs to be respected in such a way,” said Pita Gomez ’14, the current head of Alliance of Latin American Students (ALAS). However, some students believed that students of color were “erecting false barriers,” creating an unnecessary separation that would promote bad feelings between different groups on campus. Although exploring issues of the African diaspora is the stated purpose of the House, according to Tensuan, “any program is a way of forming community.” The question at the heart of this issue is what kind of multicultural community Haverford students want to form. 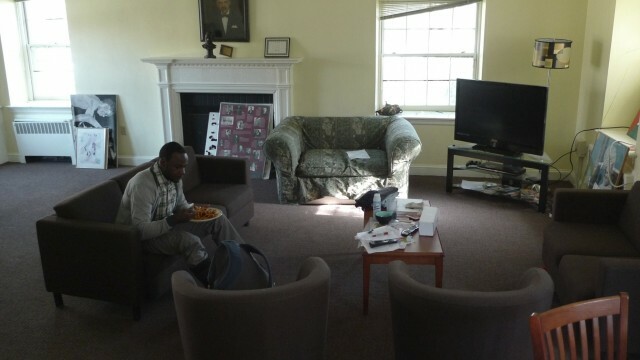 PHOTO: Joel Michel ’12, a resident, enjoys a snack in the Ira De A. Reid House (Emily Mayer ’14).